Most Windows users will never think to try anything other than the operating system’s default file manager. For the more tech-savvy users, however, the default Windows Explorer just won’t cut it. 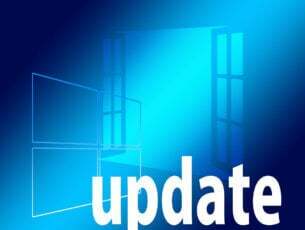 While it’s true that the current version of Windows’ File Explorer consists of a lot more features than its older versions, there are still some advanced features that are missing. For this, the more geeky Windows users resort to third-party file managers. So how exactly does getting a third-party file manager change one’s Windows experience? Well, when starting off, some of the features and conveniences offered by these third-party applications may seem complicated, or worse-still, redundant. But once one gets the hang of it, it can be near impossible to revert back to the default explorer. Here, we look at some of the best third-party file managers for Windows 10. Ideally, features such as Dual panes, History, Bookmarks, MultiRename, Tabbed interface, Filtered view, Archive handling, keyboard shortcuts, FTP support, file viewer, Folder Size Enumeration, Advanced File Search, Folder Compare, etc. are what we look for in a third-party file manager. More importantly, we look at how well these features are packed into the file manager, or how convenient it is to use them. 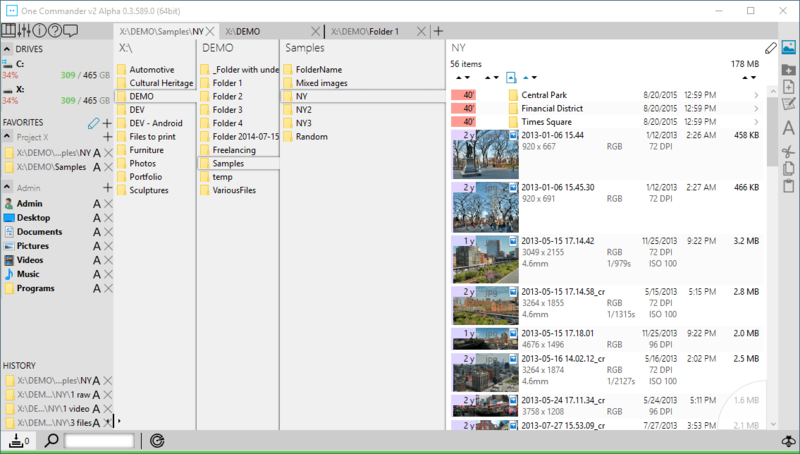 What are the best alternatives to Windows Explorer in Windows 10? This is a great software that will easily replace Windows Explorer and will help you manage all your files. We put it first as it is the most lightweight and uses fewer resources than other average file managers. This is a powerful advantage for the users reading this article. If you search for an alternative to Windows Explorer, most definitely you will need a lightweight file manager. This tool has all the functions of a file manager plus some extra features that might interest you. First of them will be the FTP file management, including FTPS and SFTP protocols. It will also allow you to compress and encrypt your files in multiple formats: zip, arj, rar, jar, ace, ha, zoo, hyper, limit, etc. The tool has a special program-sorting algorithm that will speed up the process of finding and managing the files on your HDD disks. The same engine is optimized for multitasking so you can run smoothly multiple actions at a time: copying, moving, deleting, etc. The size-management system will let you compare and organize your files and folders quickly. 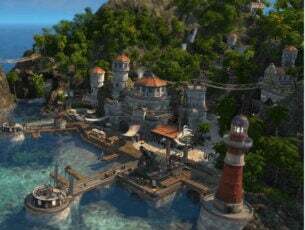 Frigate3 is a user-friendly software and can be used by anyone. We recommend it if your Windows Explorer is not working or is not good enough for your needs, but also if you have a slow PC. 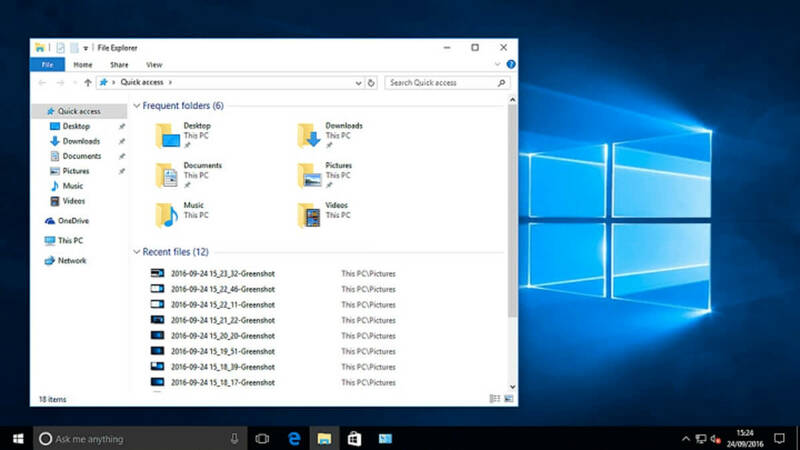 The program works great on Windows 10 after the tests made on a Windows 10 Home edition computer (the image above is a screenshot from that machine, actually), so you do not have to worry about incompatibility. One of the veteran third-party file management software, Directory Opus has an intuitive and clean interface that allows the user to select between a single-pane or a dual-pane view. The inclusion of tabs allows for the opening of multiple directories at the same time. Furthermore, the inclusion of a file tree makes it easier for the user to navigate between directories in order to find a particular file. One of the most powerful features of Directory Opus is its search feature which allows for fast and simple searching of files across the directories. Furthermore, it also allows the user to filter, sort or group different folders and files based on their preference. The provision of the preview pane makes it possible to preview files before they are opened, making it easier to identify them. Also, we all know how difficult and confusing it can be to work with multiple files. To help resolve this issue, Directory Opus allows the user to add tags and descriptions to each file, and also to assign other indicators such as colors, icons, and ratings, making it much easier to differentiate between files. The software also supports metadata, and it is quite easy to view or edit them. Directory Opus also lets the user rename files in batch. Although often overlooked, this can prove to be a very important feature. Also, with its inbuilt support for FTP, it is possible to upload and download files without the need of a third-party application. Another feature that can be very useful to a geeky user. Other features of this powerful file manager include support for various archive formats (Zip, RAR, 7Zip etc.) and a built-in image converter and uploader, and disc burning — all tasks that would have otherwise required third-party applications. Further more it also makes it easier to calculate file sizes or to find duplicate files. A final feature worth noting is its ability to queue actions, making it easier for the user to automate their tasks and improve the overall performance of their computer. All these incredible features come at a price. You can download a free 30-day trial of Directory Opus, after which you will be required to buy a license. Total Commander is another veteran third-party file manager for Windows that has been around since the early-90s. It features a minimalist dual-pane interface that is easy to learn for the average user. But for a more tech-savvy user willing to learn its more advanced features, Total Commander can serve as an absolute beast of a file manager. One of the main features of Total Commander worth noting is its support of the drag and drop method, making it possible to open multiple file explorers at the same time. Its built-in file viewer makes it easy to view hex, binary or text files and also features thumbnails, a Bitmap viewer, and an HTML viewer. It also supports tabs, making it easy to work with multiple directories. Total Commander comes with a built-in command line, making it possible for an advanced user to perform various tasks using simple parameters. It also has a built-in FTP client, another feature for the advanced user, that allows for uploading and downloading files from the internet without the use of third-party applications. Total Commander comes with a support for multiple archive formats (such as ZIP, TAR, GZ, RAR etc.) making it possible to view and extract files without the use of third-party applications. Furthermore, the user also has the option to install various plug-ins for file formats that aren’t natively supported by this application. 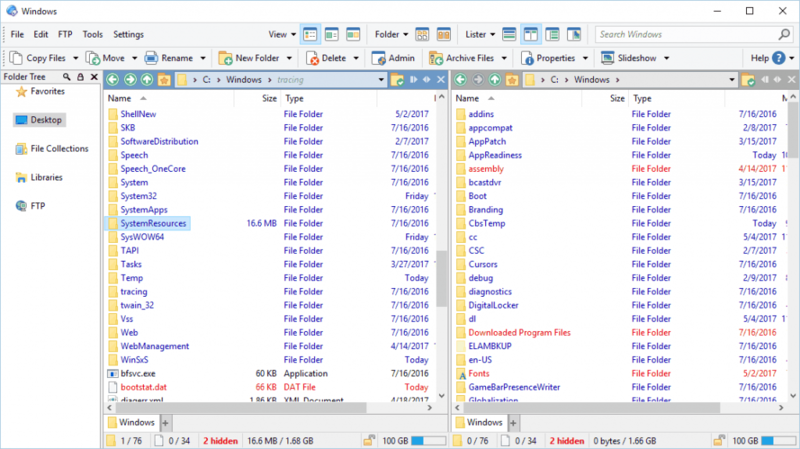 Other features of Total Commander that are worth noting is file comparison based on content, file synchronization and the ability to split or combine big files. It is also possible to rename multiple files at the same time via the multi-rename feature. Total Commander‘s enhanced search feature is possibly one of the best among file managers. It is possible to filter the list of files based on criteria such as size and in-file content. Also, it comes with a built-in feature to detect duplicate files. Like Directory Opus, a trial version of Total Commander is available for free for a certain time period, after which you will need to purchase a license. Another ‘Commander‘ file manager, the Free Commander is, you guessed it, completely free, unlike Total Commander. But that doesn’t necessarily make it any less powerful. It features a minimalist interface that allows the user to choose between a dual-pane or a single-pane view. And like Total Commander, it also fully supports tabs, making it easier to work with multiple directories. Free Commander comes with a separate folder tree for each of its panes, making navigation between directories so much easier. Its built-in file viewer also makes it easier to view images and hex, binary or text files. Furthermore, Free Commander has native support for ZIP archives, and the user has the option to install plug-ins in order to support other archive formats. Multi-rename makes it possible to rename multiple files at the same time and its ability to wipe files makes it so much easier to permanently delete files. One interesting feature of Free Commander is its ability to create MD5 checksums, which can then be used to identify duplicate files. Folder comparison and file synchronization are also supported. It is also possible to split files without the use of any third-party application. This can make sharing them so much easier. Furthermore, it also allows the user to easily calculate and compare directory sizes. Free Commander features both a powerful (and more accurate) search tool alongside a quick search tool. It also supports file filters, and it lets you use regular expressions along with the files. Finally, a plus point for the advanced user, Free Commander also features a DOS like command line interface that makes accessing and working between directories and with files so much easier. It may not have all the features of Total Commander, and some users have complained about it’s outdated-looking and sometimes buggy interface. But that’s a small price to pay considering the application is completely free. That is, unless you’re looking to install the 64-bit version, which requires a ‘donation’ to be made. Yet another ‘Commander‘ file manager, One Commander is also completely free. But unlike Free Commander, it features a more modern and appealing interface that supports two different themes. For users who prefer the dual-pane view, One Commander‘s column view should suffice. Also like all other ‘Commander‘ file managers, One Commander supports tabs, making it easy to work with multiple directories. One Commander comes with an address bar that shows all the sub-folders in the current directory, similar to folder trees, although this could take some getting used to. It is, however, possible to minimize this address bar, in case you find it annoying, and get it to work like the typical address bar of Windows’ default File Explorer. Another interesting features of One Commander include the history panel on the right side of the interface, that makes it easier to navigate between previous directories and files. It is also allows for creating a list of favorite directories and accessing them with a single click. One Commander comes will all the standard features of a file manager and it also supports built-in preview of audio, video and text files, making it possible to view them without the use of third-party applications. One critical flaw with this file manager is it’s high memory usage. It probably uses the most memory among all the file managers reviewed in this article. But despite that, One Commander is an otherwise well-built file manager that possibly has the most interesting interface among all the file managers reviewed here. A definite bargain, specially considering that it is completely free. 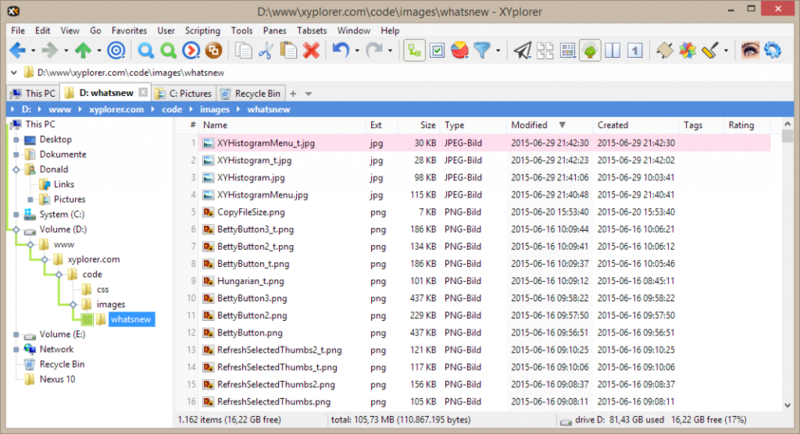 XYPlorer is a great dual-pane file manager for Windows. It supports tabs and each open tab gets assigned a certain configuration, such that they remain the same even if the application is closed. It comes with a folder tree on the left side of the interface making navigation very easy. The folder tree supports highlighting, and also highlights the path leading to the current directory, thus making it easy to distinguish between the directories. It also comes with a Mini Tree feature which lets you see and navigate between paths and directories you used previously. One of the most powerful features of XYPlorer is its search function, which can be done straight from the address bar. It supports regular expressions, advanced patterns, fuzzy matching, Boolean logic and content search. The search feature can also locate duplicate files and look at multiple locations simultaneously. XYplorer supports operation queuing allowing you to define a sequence of actions and perform them one after another. It also supports user defined commands, and lets the user assign tags or keyboard shortcuts to these commands. The application also allows you to assign tags to files or folders, making it easier to organize them. XYplorer uses breadcrumb bars which show you the full path of the current directory. It also has a Hotlist feature that shows your history in a separate context menu making it easy to access any folder. The batch rename feature not only allows for renaming of multiple files at the same time but also comes with a detailed preview so that it may be possible to detect possible conflicts. XYplorer comes with a floating previewer that comes This application also provides native support Zip files, meaning it is possible to extract and add files to them without the use of third-party applications. Also worth noting is the fact that it allows for undoing and redoing actions up to 100 steps. XYPlorer comes with a free 30-day trial period, after which you will be require to purchase a license. 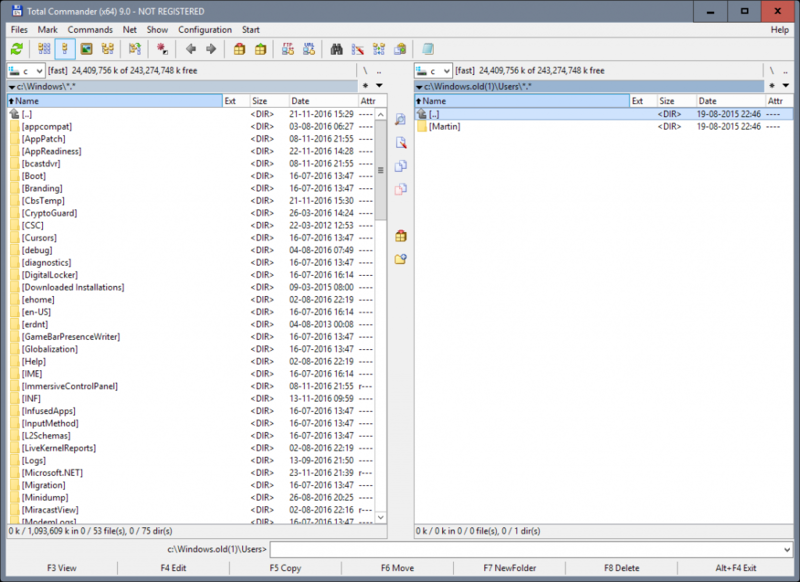 Xplorer² is possibly one of the most light-weight file managers on this list. 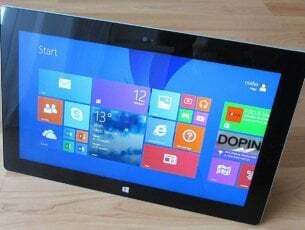 It comes with an intuitive interface that has dual-pane and supports tabs. It also comes with an built-in file viewer that makes it easy to preview text, video, audio and documents. The organizational prowess of Xplorer² is what makes it stand out among other file managers. Xplorer² makes it possible to group your files in a way that makes organizing them easier and better. Further more, the availability of multi-sorting and the ability to memorize the preview mode for each folder, so that it does not need to changed each time, are some other useful features of this application. Other than the basic file management features, Xplorer² also supports more advanced features such as file shredding, file splitting-merging, and a powerful file transfer system that makes it possible to easily transfer files in the background. It also allows for exporting folder listings and has a scrap container which allows the user to store multiple files and folders. The application comes with an in-build cleanup feature that can find and remove duplicate files. It also comes with error handling and confirmations features, making file corruption less likely. The input field comes with an auto-complete feature making it easier to enter the desired text. An important feature of Xplorer² is its inclusion of an in-built text editor. This text editor supports UTF8, Unicode and RTF formats, making it easy to edit text files. It is also possible to easily view and modify the metadata of any file. For the more advanced user, the inclusion of a DOS like command line should definitely be a plus point, making it easier to work with multiple files and between multiple directories. Xplorer² comes with a free 21-day trial period, after which you will be required to purchase a license.